Malco’s No. 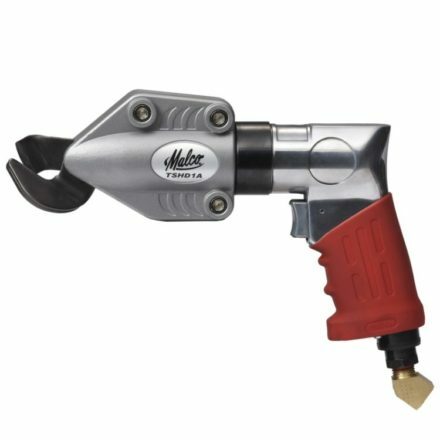 9A Adjustable Folding Tool easily folds edges of aluminum siding, trim coil and lighter gauges of sheet metal up to 26 gauge (0.56 mm). The 9A quickly adjusts from 1/4” to 1-1/2” (6.4 mm to 38.1 mm) folding depths in 1/4” (6.4 mm) increments. The adjustment mechanism is completely hand operated; there are no loose parts or extra tools to contend with. A compact 3-1/4” x 9” (83 x 229 mm) size provides easy leverage for any folding depth. The tool also features a handy hang hole for workbench applications, or stores easily in a tool bag. The stainless steel construction assures long service life. Fast adjusting for the task at hand. Folds on multiple applications including aluminum siding, trim coil and lighter gauges of sheet metal. Handy hang hole for storage. Compact design fits easily in a tool bag.